I only ever promote races and products that I legit like and use and I’ve been a liker and a user of SPIbelt products since I began running seriously a couple of years ago. I wrote a review about it a while ago, too. 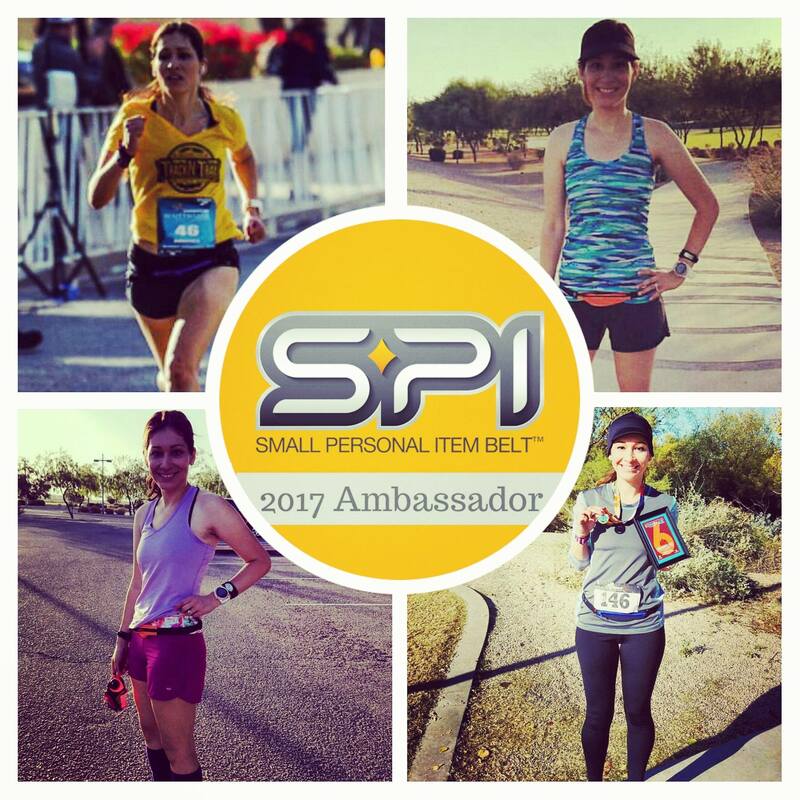 Anyway, I’m super happy to share with you I’ve been chosen as a SPIbelt ambassador (<–my little bio 😀 )!! What’s a SPIbelt? Think of it like a fanny pack for walking/running/hiking, lol! But really though, it’s a small belt that holds stuff. When I race, I like my hands free so I carry my fuel and salt tabs in my SPIbelt. When I’m running alone during training, it holds my keys and phone. I’m not one to sign up for any ambassadorship that comes my way, but when I saw the opening for SPIbelt, I decided to drop my name in the hat. I hoped that if I was chosen, I’d have something to share with you besides my opinions on the product, lol. Sure enough, I’ve been given my own little code: Helly2017 You can use that bad boy to get 15% off your purchase. –Do you own a SPIbelt? What do you usually carry in it? –Where do you put your stuff when you run? –Oh, yeah! I almost forgot to share. The first time I had an Exercise Induced Allergic Reaction, I happened to have my phone in my SPIbelt. Thank goodness because I was able to call my husband! I wrote about that here. 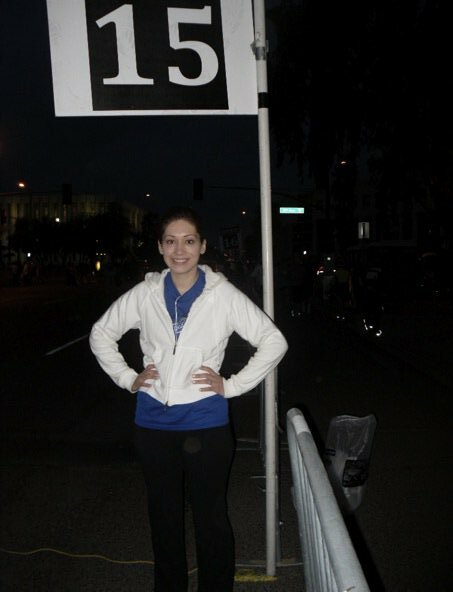 I remember my very first 1/2 marathon in 2010–I was “sweatin’ for the wedding” and really had absolutely zero clue about racing. I didn’t know what training plans were, or fueling, or anything at all. 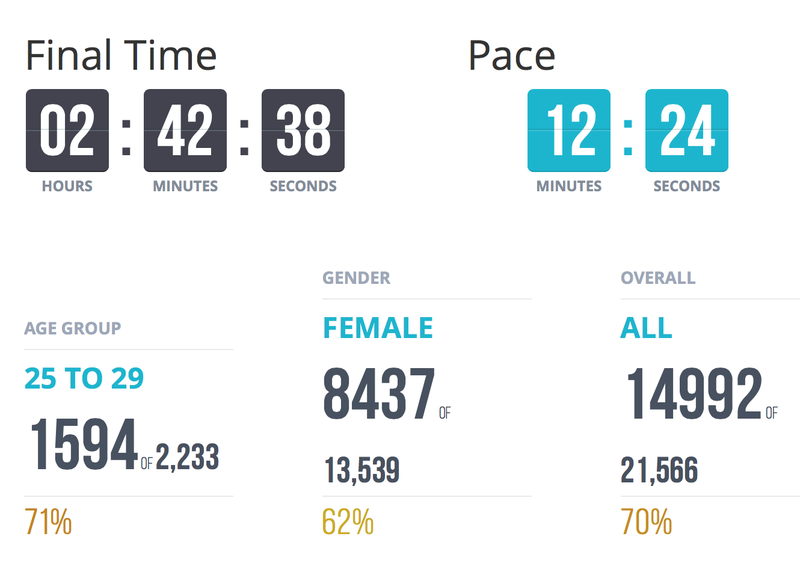 I think the longest I’d run up to the race was 6 or 7 miles. 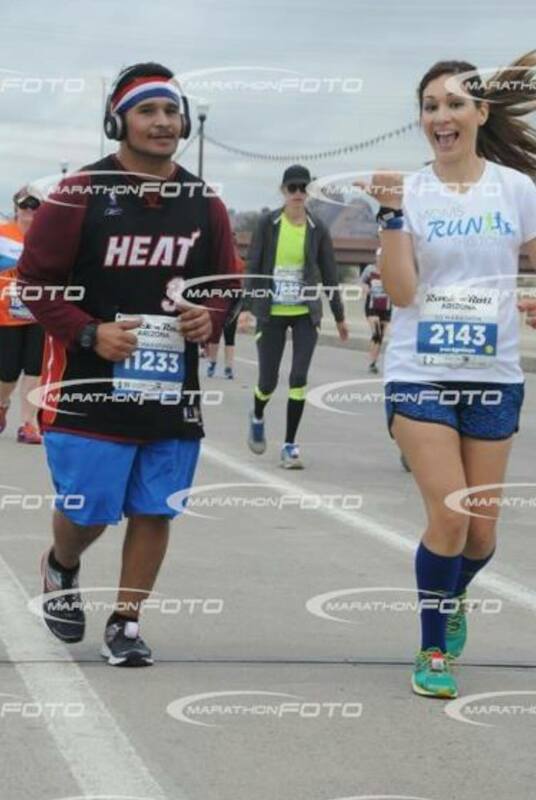 In high school, I ran cross country and in college I ran sporadically, so when I ran RnR AZ that year, I really was a newbie runner. Seven year later, I was back for another first but this time, it was my cousin’s. Back in July, he’d sent me a message asking about half marathons. Since he lives in California, I sent him a few suggestions to do out there. 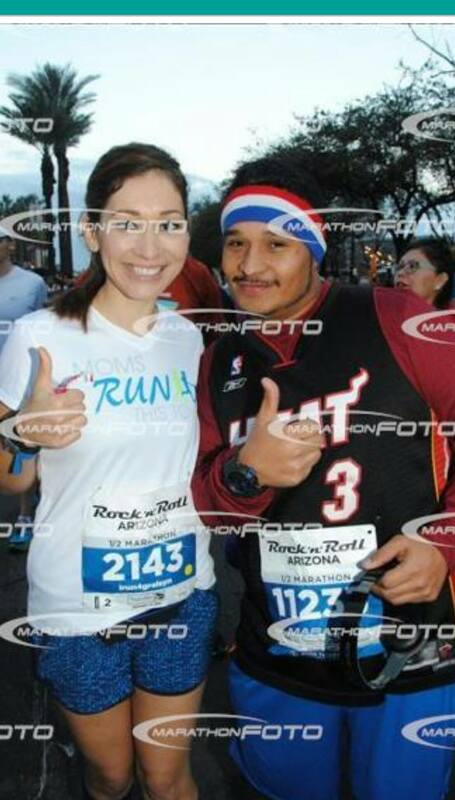 But, I also threw in RnRAZ and told him that I do it every year and that I’d run it with him if he decided to come out. He signed up as soon as I said that. On Sunday, my cousin was going to his first ever expo picking up his first ever bib. He’d never done a 5k or a 10k, this would be his very first race. I could see the excitement on his face as we got in our corral. 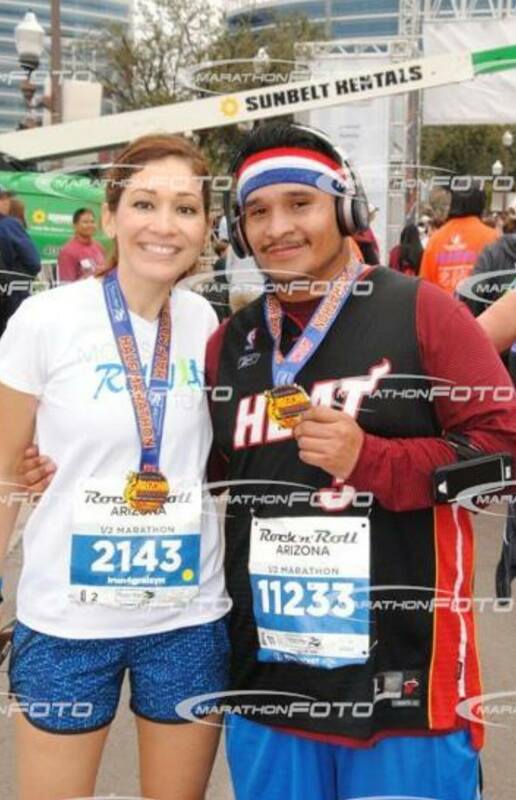 My bib may have said 2 this time around but I was him in 11 (a better corral than my first, 15, lol!). We had a goal of finishing sub 3 hours but most of all, we had a goal of having fun. The first five miles went by smoothly, but I could tell my cousin was beginning to struggle. We began taking walk breaks and then as we reached the big hill of the course (there are little ones to prep you lol) I could tell he was sick. We pulled off to the side so he could, you know, do what he needed to do. At mile 9, I promised him that as soon as we got up the hill, it would downhill the rest of the way. By then though, he was completely checked out and only concentrating on putting one foot in front of the other. Except he was done. So done. He had his headphones so I couldn’t give him words of encouragement. I only hoped whoever he was listening to was doing a good job for me. When we reached the last mile, I knew we’d be cutting it close. I nudged him and pointed to my watch. ONE MORE MILE. Finally, we made our last right turn and we could see the finish. I yelled, c’mon let’s run it in!!! He shook his head. Um, sorry dude, but we ARE running it in. I pulled his arm and put my other arm on his back. He was tired. He was sick. But he was oh, so proud! –Do you remember your first race? What comes to mind when you look back to it? 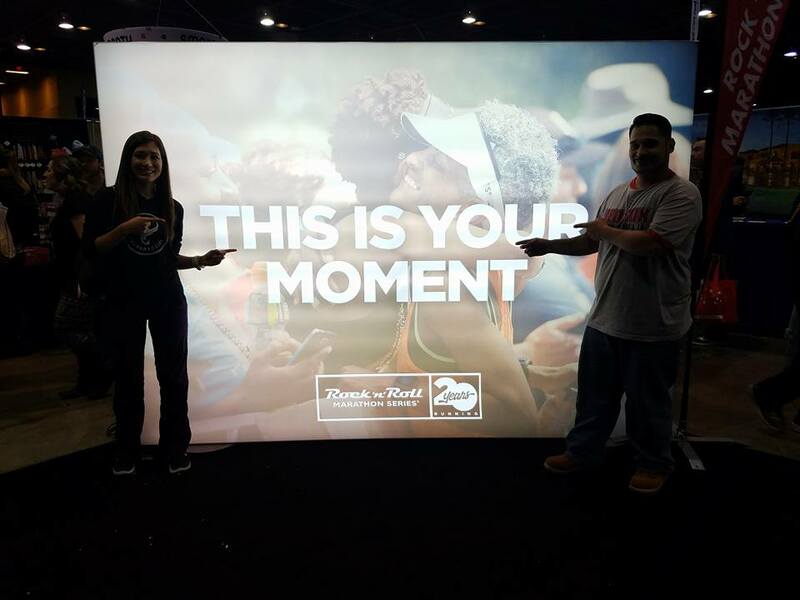 Phoenix Marathon Course Preview and a Race Entry GIVEAWAY!!! 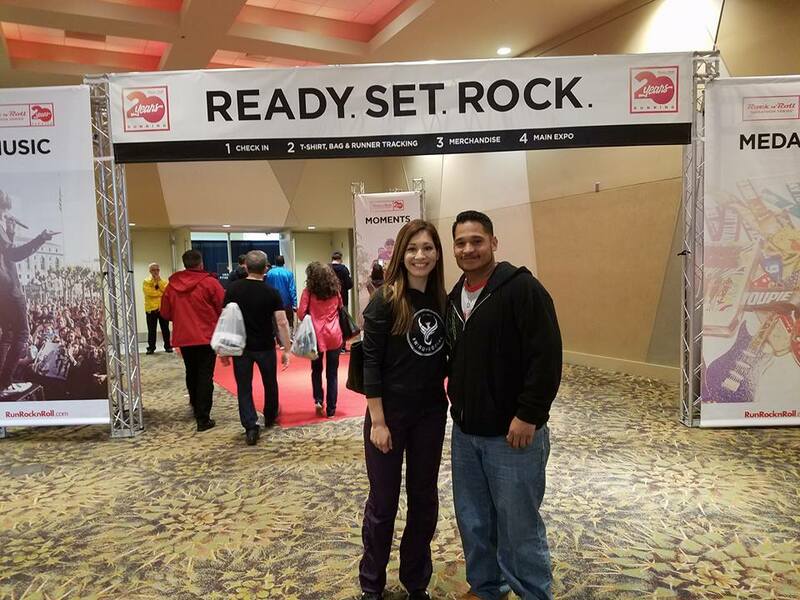 This past weekend I ventured out to the start of the Phoenix Marathon course to get a “feel” for the first part of the race. 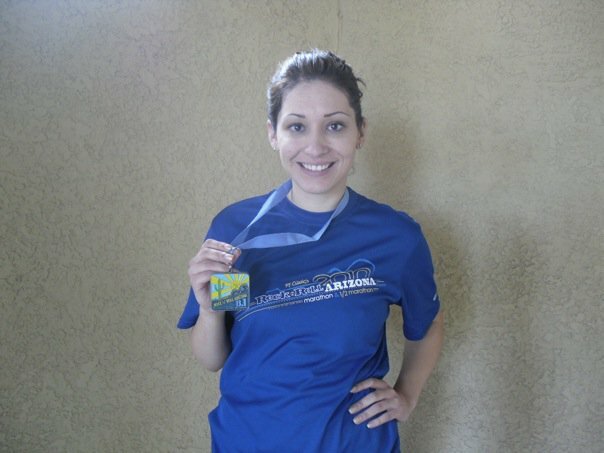 Okay, fine #realtalk Whenever I think of Phoenix Marathon, I don’t remember my very first ever marathon. 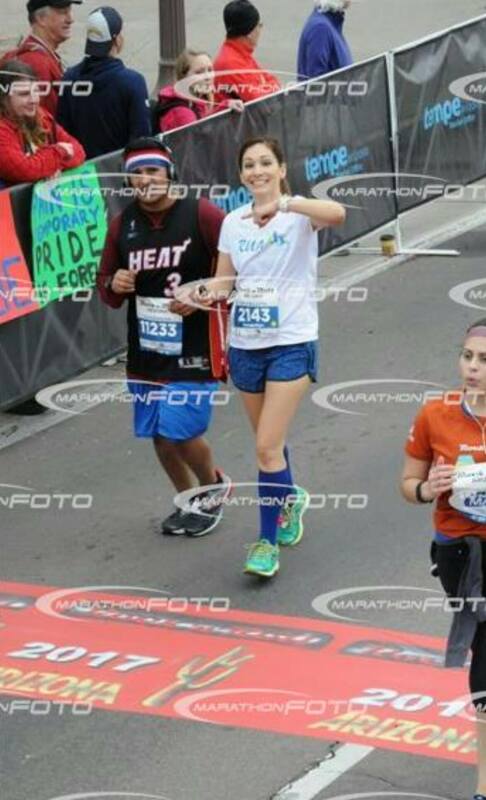 Instead, I remember that cold February morning back in 2015 dropping out a little past mile 12 😦 My DNF that year is not how I want to remember this race. So that’s the biggest reason I want to do well. REVENGE. 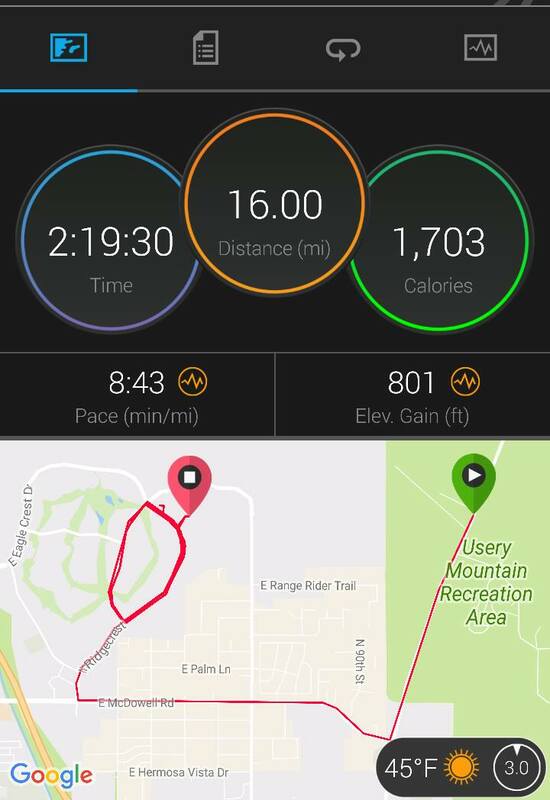 I was able to have a running buddy venture out to the start with me (the race is a point to point that begins far out in Mesa in the middle of the beautiful desert, lol) and he joined me for the first 6 miles of the course. 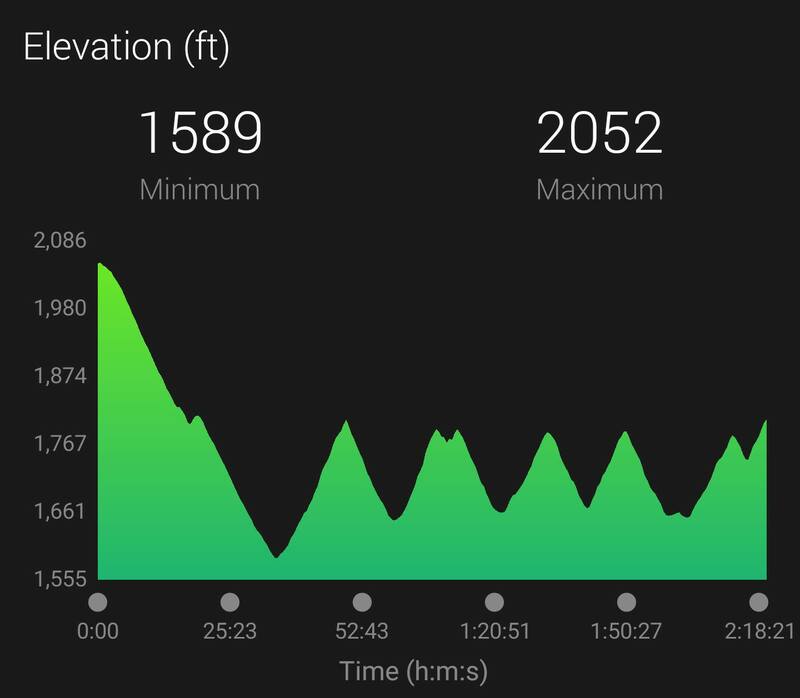 My plan was to do the downhill part and the hill–loop around a circle doing the hill a few times for 16 miles total (my first Hanson’s 20 of this cycle). Unfortunately, I took an early turn and ended up doing a lot of little loops and the Phoenix hill a few more times than planned, jaja!!! I chalked it up to more training for the course, lol! 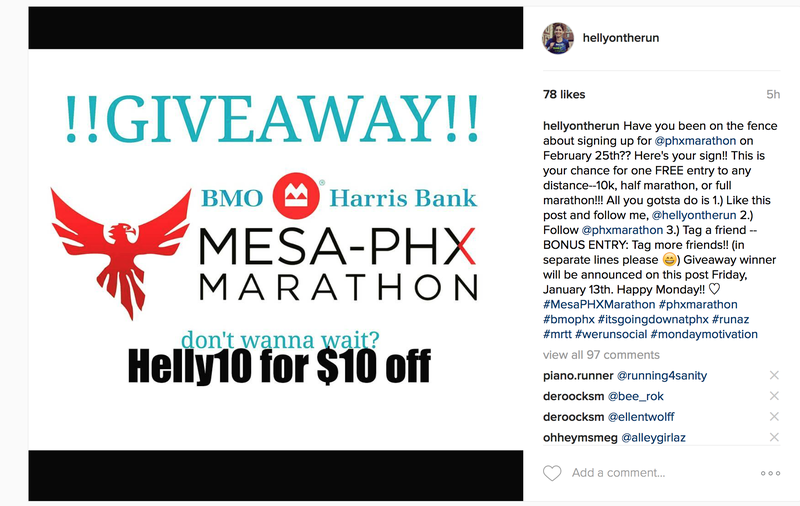 I should’ve kept on going to Eaglecrest instead of turning left….oh wells..
And because I’m a Phoenix Marathon Ambassador, I get “rewarded” with extra entries the more times people use my code (Helly10 for $10 off the half or full). Because everyone is awesome and using it, I’ve managed to snag an entry to giveaway for any distance the race offers–10k, 1/2, or full!! YAY!! –Have you ever won a race entry?